Today's prompt is "cookies". 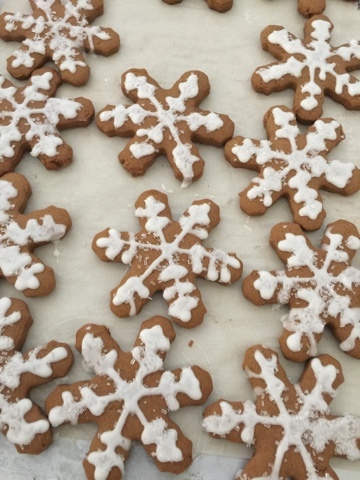 Our favorite cookies this time of the year is gingerbread. I've made these many times as gifts for friends and family and they are as delicious as they are pretty. It's been so long since I've baked and I'm out of practice icing the cookies. But these are just for my family so I don't think they care if the icing is not up to par with Martha Stewart. 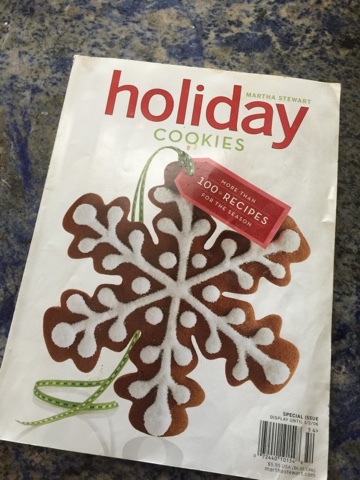 Speaking of Martha, the recipe comes from her Holiday cookies magazine. 1. Sift together flour, baking soda, baking powder into a bowl. 2. Put butter and brown sugar in a bowl and mix with an electric mixer until fluffy. 3. Mix in spices and salt, then eggs and molasses. Add flour mixture. Divide dough in thirds, wrap in plastic wrap and refrigerate until cold. About an hour. 5. Bake cookies for 12-14 minutes. 6. Put icing into a plastic bag (if you don't have a piping bag, use any plastic bag and cut the corner slightly. 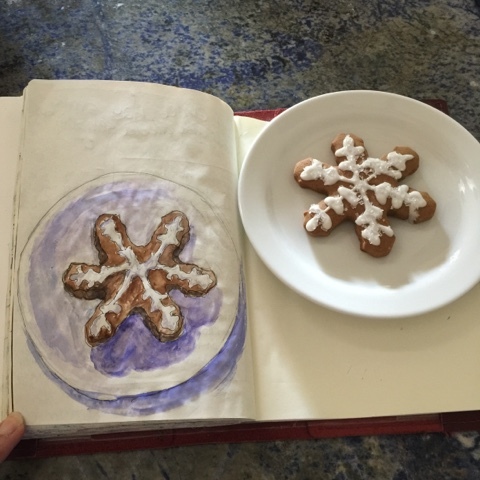 Pipe designs on cookie and sprinkle with sugar. Mix with scant 1/2 cup water. If too thick, add water a little bit at a time. If too thin, keep mixing. I hope you try these! !